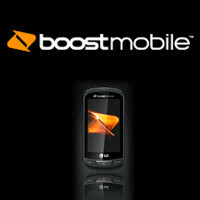 Boost Mobile just had a new item pop up in its portfolio of devices – The LG Rumor Reflex. It is currently listed as “Coming Soon” at a price point of $79.99. The handset is said to feature a 3” Touchscreen, GPS capabilities, and speakerphone. Unfortunately, when the “learn more” button is clicked it links to the phones that already released and does not provide any additional information on the LG Rumor Reflex. Based on the thumbnail it appears this device is a candybar form factor with a touchscreen and 3 physical buttons at the bottom. What is interesting though is, if you use the “Sort By Feature” list on the left, the LG Rumor Reflex is listed as a QWERTY device leading us to believe it may actually be a side-slider like the LG Rumor Touch. Hopefully Boost will release some additional information soon as to what else this handset is packing.